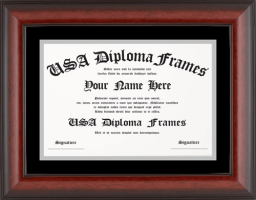 Designed to display your diploma, certificate or award in an elegant frame with your choice of matte color. 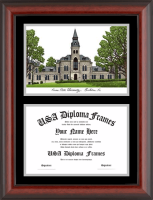 Size of frame will depend on the diploma size. 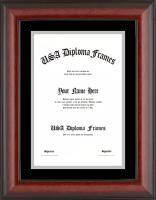 This frame allows you to place two diplomas or two documents into one frame. 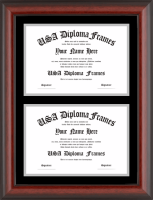 Ideas for this frame include two diplomas or a school picture and diploma. 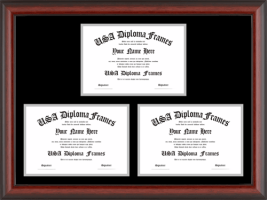 We will customize the openings based on your diploma size and/or photo size. 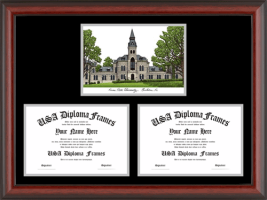 Size of frame will depend on the diploma size. 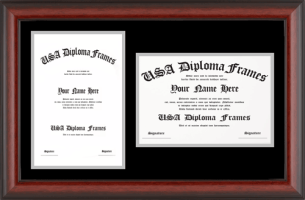 This product allows you to display a lithograph ( or photo of your choice) and two diplomas. Openings are customized to match the size of your documents. 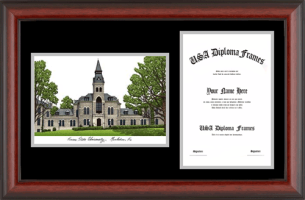 Size of frame will depend on the diploma size.